You were recently in a car accident and your doctor diagnosed you with mild traumatic brain injury (TBI). You wonder how something can both be mild and traumatic at the same time. 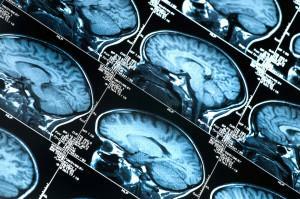 What is mild traumatic brain injury? Is it serious? Or not so much? These questions could on your mind if you ever experience a mild TBI. Other neurological or neuropsychological dysfunctions. If you suspect you have a TBI contact a health professional immediately to help diagnosis and treat your injury. A very problematic symptom that at first glance would seem less troubling is excessive fatigue. A publication from the International Brain Injury Association, states that 32-73% of those with a brain injury report experiencing fatigue on some scale. Often, symptoms of fatigue resolve within a couple of days or weeks. However, fatigue can continue for many years following an injury. Fatigue can negatively impact your life, including your work life and leisure time. Common brain scans (CT scan or MRI) often show no evidence of a mild brain injury. Mild brain injuries often damage the “white matter” of the brain. According to the DANA Foundation, white matter is a “vast, intertwining system of neural connections that join all four lobes of the brain (frontal, temporal, parietal, and occipital), and the brain’s emotion center…” According to the Brain Injury Association of America, it is harder to “capture or visualize” injuries to white matter. If you have been in a car accident or other accident that impacted your brain, see a doctor immediately. If you have been diagnosed with mild TBI due to an auto accident and need legal help, contact McDivitt Law Firm today for a free case evaluation.